Draft: 2013, Chicago White Sox, 19th rd. Married Jaime … has two daughters: Clarke and Rylee ... Twitter: @ManOfSteal_10 … Instagram: @adamtengel ... Attended the University of Louisville … was named Third Team All-Big East in 2013 and Second Team in 2012 ... Is a 2010 graduate of Loveland (Ohio) High School … played baseball, basketball and football. Spent his first full season in the major leagues, making 124 starts in center field ... Raised his average from .166 in 2017 to .235 in 2018 … the +.069 increase was the third-largest in MLB (minimum 300 plate appearances) behind Boston's Mookie Betts (.082; .264 to .346) and the Cubs' Ben Zobrist (.073; .232 to .305) … hit .275 (38-138) in 40 games from 8/12-remainder of the season ... Ranked second on the team with 16 stolen bases and fourth with 143 games played ... Made his first career Opening Day roster, starting in center field on 3/29 at Kansas City … reached base safely four times, going 2-3 with two walks ... Hit leadoff in consecutive games on 5/12-13 at the Cubs, going 4-8 with one double and three runs scored ... Batted .340 (16-47) with a .574 slugging percentage and nine runs scored over a 13-game stretch from 5/23-6/5 … matched his career high with four hits on 5/23 vs. Baltimore (second time), including his first home run of the season ... Missed four consecutive games from 6/7-10 due to a strained right hamstring ... Collected two hits on 7/4 at Cincinnati in front of several friends and family (was born in Cincinnati and lives in Loveland, Ohio) ... Robbed a pair of home runs with over-the-wall leaping catches in consecutive games from 8/6-7 vs. the Yankees … went over the wall to steal home runs from Greg Bird on 8/6 and Kyle Higashioka on 8/7 ... Took away a third home run on 8/12 vs. Cleveland, robbing Yonder Alonso of a three-run homer in the ninth … the three homer-robbing catches saved Sox pitchers seven runs ... Homered in consecutive games for the first time in his career on 8/12 vs. the Indians and 8/13 at Detroit … posted six multi-hit efforts in 10 games from 8/18-27 ... Was named MLB Defensive Player of the Month for August by Sports Info Solutions ... Snapped a 2-2 tie with a game-winning, two-run homer in the fifth on 8/22 vs. Minnesota … collected three hits on 8/27 at Yankee Stadium ... Scored the winning run in the 12th inning on 9/12 at Kansas City after singling with one out. Made 91 starts in center field with the White Sox...Batted .319 (15-47) over his first 17 games with the Sox and .138 (35-254) over his final 80...Was recalled from Class AAA Charlotte on 5/27 … made his major-league debut that day as a pinch runner in Game 1 of a doubleheader vs. Detroit...Made his first career start in Game 2 of the DH vs. the Tigers, playing center field and batting ninth … recorded his first hit, a single off Shane Greene in the eighth...Collected his first multihit efforts in back-to-back games on 6/8 at Tampa Bay and 6/9 at Cleveland... Was optioned back to the Knights following the game on 6/9...He and wife, Jaime, welcomed their first child, daughter Clarke, on 6/12...Was recalled for the second time on 6/20 … doubled on 6/21 at Minnesota for his first extra-base hit … collected his first two RBI and recorded a career-high four hits on 6/22 at Minnesota...Hit his first career home run on 6/25 vs. Oakland, a solo shot off Sonny Gray in the third inning... Hit a go-ahead, bases-clearing double on 7/23 at Kansas Cit… broke a 1-1 tie with a game-winning, solo homer in the sixth on 7/24 at the Cubs...Made an over-the-wall leaping catch in center field to rob Brian McCann of a home run on 8/8 vs. Houston...Hit two triples on 8/11 vs. Kansas City, the first Sox player to accomplish that feat Alejandro De Aza on 8/16/11 vs. Cleveland...Went 3-4 with a solo home run and three RBI on 9/11 at Kansas City … marked his third multihit effort in his last four games after recording zero in his previous 25 contests... Was 0-21 with one RBI, three walks and two runs scored over his final eight games of the season from 9/24-10/1... Appeared in 46 games with Class AAA Charlotte...Entered the season ranked by MLB.com as the No. 12 Prospect in the Sox system … also tabbed by Baseball America as the Best Defensive Outfielder in the Sox organization...Attended a player symposium in Washington D.C. in January hosted by Major League Baseball and the MLBPA. Combined to hit .259/.344/.406 with 30 doubles, 12 triples, seven home runs, 46 RBI, 90 runs scored, 45 stolen bases and 56 walks over 129 games between Class A Winston-Salem, Class AA Birmingham and Class AAA Charlotte. His 45 steals tied for fifth-most in the minor leagues, and his 12 triples tied for sixth. Ranked among the Sox organizational leaders in triples (1st), runs scored (1st), stolen bases (1st), extra-base hits (T1st, 49), total bases (3rd, 207), walks (3rd), doubles (T4th) and hits (T5th). Opened the season with Birmingham before being transferred to Winston-Salem on 5/9 … recorded eight multihit efforts with the Dash before being promoted back to the Barons on 5/24. Compiled a 12-game hitting streak with the Barons from 7/5-16 (.426, 23-54) … was transferred to the Knights on 7/18 for the remainder of 2016. Entered the season rated by Baseball America as the No. 7 Prospect, Fastest Baserunner and Best Defensive Outfielder in the White Sox organization. June 20, 2017 Chicago White Sox recalled CF Adam Engel from Charlotte Knights. June 15, 2017 Charlotte Knights activated CF Adam Engel from the temporarily inactive list. June 10, 2017 Chicago White Sox optioned CF Adam Engel to Charlotte Knights. May 27, 2017 Chicago White Sox recalled Adam Engel from Charlotte Knights. March 22, 2017 Chicago White Sox optioned CF Adam Engel to Charlotte Knights. November 18, 2016 Chicago White Sox selected the contract of Adam Engel from Charlotte Knights. July 18, 2016 CF Adam Engel assigned to Charlotte Knights from Birmingham Barons. May 24, 2016 CF Adam Engel assigned to Birmingham Barons from Winston-Salem Dash. May 9, 2016 CF Adam Engel assigned to Winston-Salem Dash from Birmingham Barons. April 5, 2016 CF Adam Engel assigned to Birmingham Barons from Winston-Salem Dash. January 26, 2016 Chicago White Sox invited non-roster CF Adam Engel to spring training. September 24, 2015 OF Adam Engel assigned to Glendale Desert Dogs. 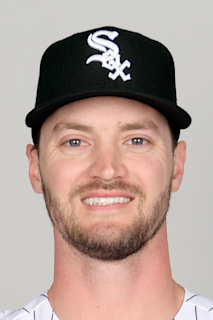 March 21, 2015 CF Adam Engel assigned to Chicago White Sox. August 9, 2014 CF Adam Engel assigned to Winston-Salem Dash from Kannapolis Intimidators. June 30, 2014 Kannapolis Intimidators activated CF Adam Engel from the 7-day disabled list. June 20, 2014 Kannapolis Intimidators sent OF Adam Engel on a rehab assignment to AZL White Sox. May 19, 2014 Kannapolis Intimidators placed OF Adam Engel on the 7-day disabled list. April 1, 2014 OF Adam Engel assigned to Kannapolis Intimidators from Great Falls Voyagers. July 1, 2013 OF Adam Engel assigned to Great Falls Voyagers. June 27, 2013 Chicago White Sox signed OF Adam Engel.